As one of a pair of new dwellings situated in the same cul-de-sac as Amberley, Collar House is 7,000 sqft of luxury accommodation set over two floors. Designed in a modern ‘Arts and Crafts’ style, Collar House is a stunning family home contextualised in its leafy and green location. The crisp white render is contrasted beautifully with the natural Sandstone surrounds to the windows and doors. With asymmetrical lines, Collar House embodies the character typical of the ‘Arts and Craft’s’ style, whilst boasting the spacious accommodation needed for a modern family. 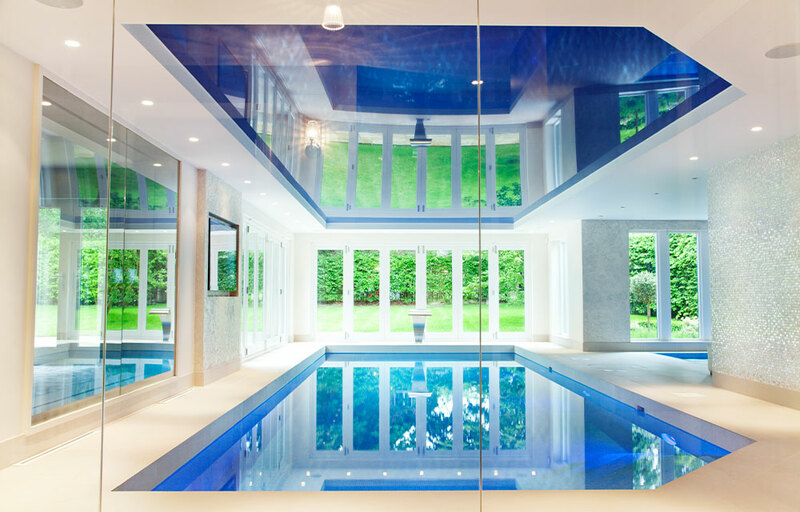 This luxury home includes an 11m swimming pool and circular spa. A Superb open plan kitchen / breakfast / day room forms the heart of this exceptional home. Walnut and lacquered woods feature throughout the five beds / five baths and a spectacular glass screen media room to the pool, is the height of modern luxury living.